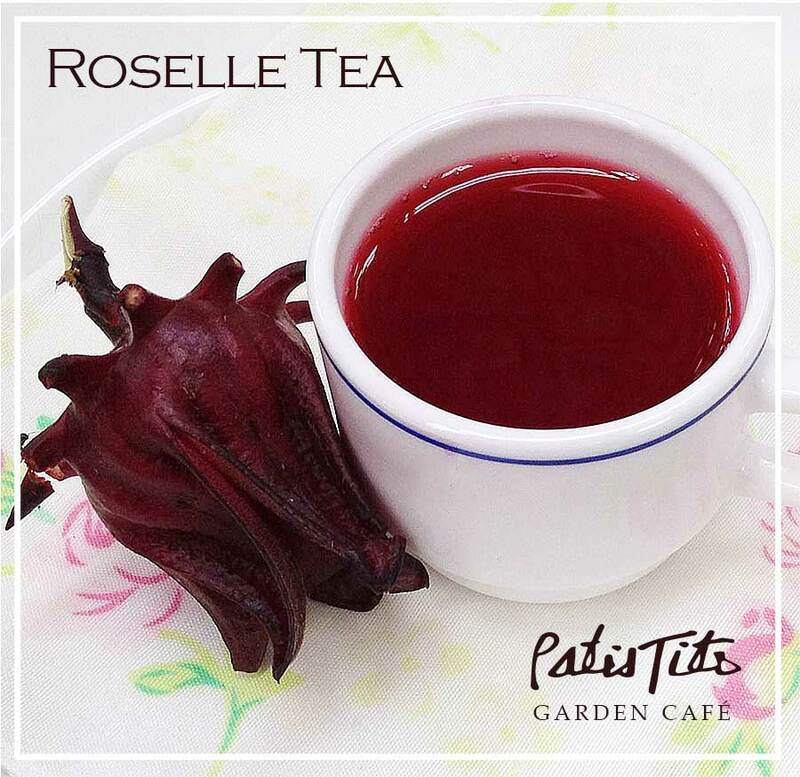 Organic Roselle Tea - locally grown & available at PatisTito Garden Café. Roselle tea is great for decreasing blood pressure as it is hibiscus which has natural anti-hypertensive properties. Recommended as an alternative to artificially made commercial "sport drinks" for active people. It has diuretic properties that helps in detoxifying while strengthening the immune system. Organgic Roselle Tea is locally grown and available at PatisTito Garden Café. 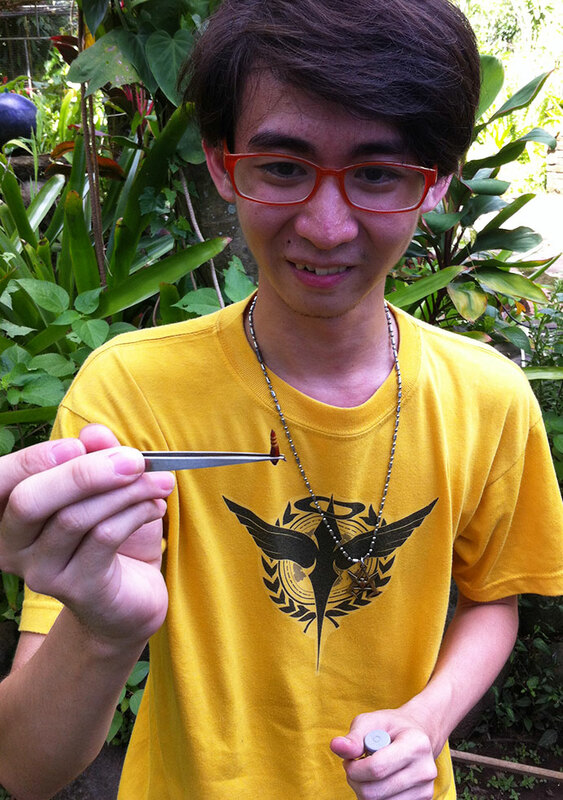 Members of the University of the Philippines Entomological Society (UPES) visited PatisTito Garden Café last Sunday. They found a gumamela shrub that had leaf borers and extracted these pests for identification back to the campus in Los Baños, Laguna. The hardineros replanting the black bamboo. The garden continues to grow too fast! The weekend rain helped the boys replant the black bamboo back to its rich soil. It is quite a sight to see life branching out from the bamboo nodes. While the weather was wet, warm celebrations were welcomed in the cafe - from family gatherings, birthday celebrations to tales of road travels. 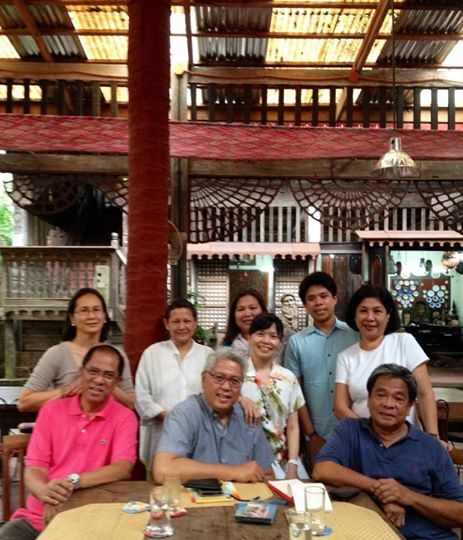 And it was quite a surprise for us to be visited by Ryan Cayabyab and his wife, Emmy.